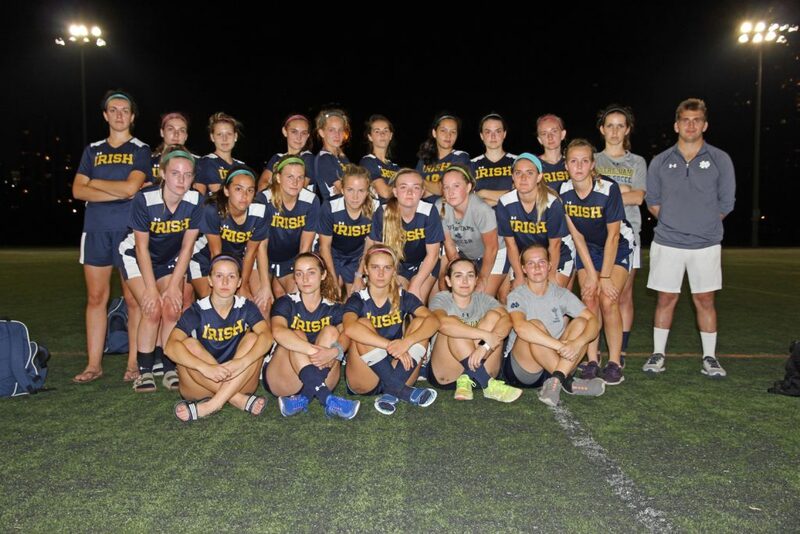 Founded in 2012, the Notre Dame Women’s Club Soccer team is a competitive organization that competes in the Mid-West Alliance League, a league that is composed of club teams from colleges across the midwest. Our league games, regionals, and nationals occur during the fall. We also play in spring friendlies. During the fall and spring, we practice two times a week and take time off during the winter. We’re looking for girls with great attitudes and a desire to play soccer at a level that is more competitive than intramural or interhall leagues. Tryouts take place during the second week of the fall semester, and we roster approximately 25 girls for the season. During the 2017-2018 season we attended Nationals in Phoenix, AZ and hope to build off this success.